But, those birds found in DCWV’s The Whimsical World Stack made me do it. How perfect would this card be with a package of Peeps?! 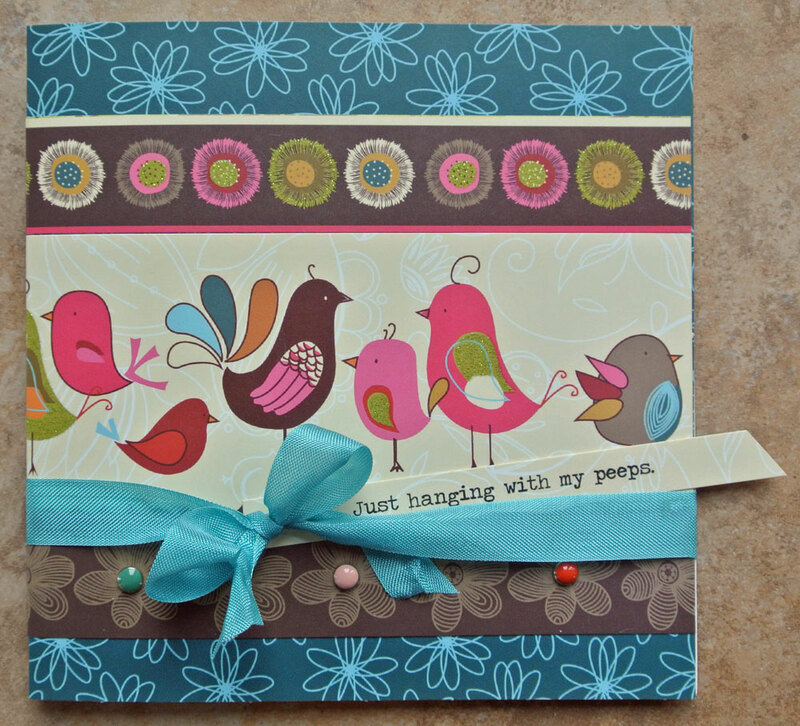 I added some October Afternoon brads and seam binding to make my quick, easy and cute card. Or at least I think it’s cute. The big kids just rolled their eyes at me. Yep, it’s CUTE alright!! Maybe the big kids just aren’t with the program : P !